A nice Yogi's. Very close to town. Good level sites that easily handle Class A rigs. Both indoor and outdoor pools were clean and warm. Employees were extremely helpful and friendly. A nice clean park with lots to do for all ages. 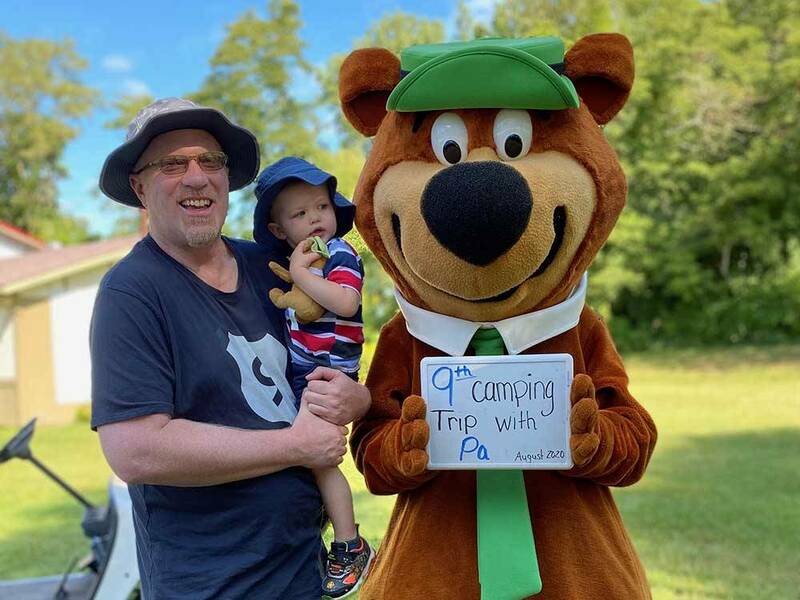 Our grand daughter had here picture taken with BooBoo the Bear. Within walking distance to Bronner's. 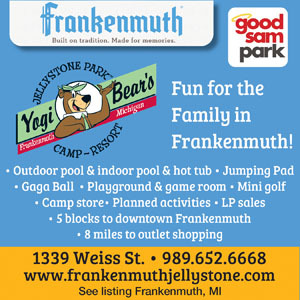 Short drive to the center of Frankenmuth. Nice indoor pool and hot tub. Some of the nicest showers I've seen in our travels. Will stay there again! Lots of things for the kids. Nice pool. City water is very bad tasting.